Sheep are raised for thousands of years as live stocks. But commercial dairy farming was not as much popular as today's dairy farm industry. Because some time ago people was not fond of milk sheep but modern people know the benefits of sheep milk. It's more nutrious and healthy than cow's milk. some time ago U.S. dairy sheep industry was in its initial stage but its growing now sheep dairy farming is well established in US. Sheep dairy farms are spread throughout the country with the largest concentration located in South US. Karras Farm is one of them. 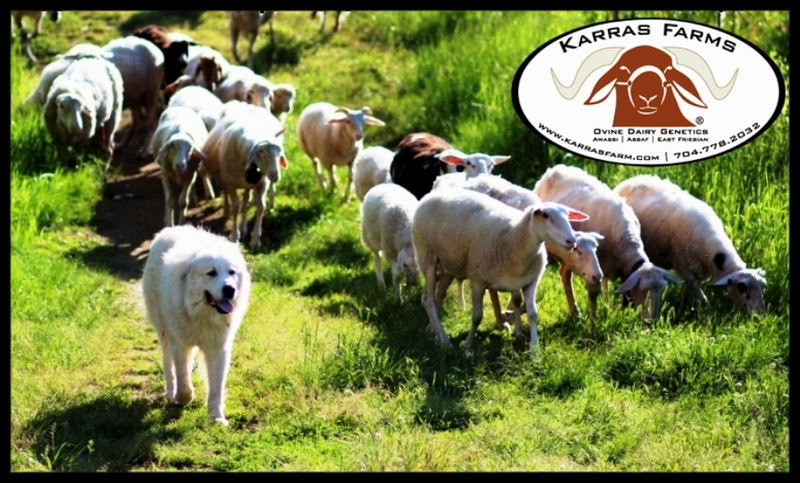 it's a fourth generation dairy sheep farm, originating over centuries ago in the country of Greece. Andy Karras, owner of Karras Farm made it more popular and lead it to the South US's leading dairy farm's list. Dairy Sheep mainly refers to that particular breed who are raised for milk it provide a good quantity of milk rather than meat or wool. These are kept as live stocks from thousands of years for milk purpose. There are so many breeds of sheep but in the field of dairy sheep, Awassi, Assaf, East Friesian, Friesland, Dorset Horn and the Lacaune these are main breeds because it provides a large quantity of milk than any other breed. East Friesian sheep is most productive breed of dairy sheep. Dairy farmer kept these breeds if there industry is mainly deals in milk, cheese and yogurt because these breeds provide a large amount of milk which is beneficial for owners. US become a home of sheep milk because now a day dairy farm industry widely spread over there. Today most of people seeking interest in sheep milk that's why farmer commercially raising sheep. It is recommended by doctors because it is rich in proteins, vitamin, potassium, calcium, phosphorus, and magnesium. Raw milk is also a healthy option. It is unpasteurized milk with a rich flavor. It is also in demand most of this milk is used for cheese. This milk can be preserve for long time it is good quality of this cheese which is beneficial for buyers as well as consumer that they can preserve it for long time without any loss of quality. Another benefit of it is that Lactose is converted to lactic acid in sheep’s milk. Some people have lactose intolerance they are allergic to milk but this quality of its milk is beneficial for them they can drink it and consume products which are made from it. It is very digestible and its fat is not affected cholesterol level, approximately 50% of the fatty acids in this are polyunsaturated.